I don’t know whether you caught it last night on TV but if you didn’t you missed an interesting program which got me to thinking about having a go at home brewed beer Tudor Style. The program that I watched was Tudor Monastery Farm on BBC2. In the programme there was a small segment on how they used to make malt and brew ale in England during the Tudor period. The Tudor Monastery Farm continues the series of Open University sponsored programmes looking at farming in Britain at particular periods of history. So we have had Victorian Farm and Wartime Farm. But, to my knowledge, the program last night was the first to feature a segment on malting and brewing. 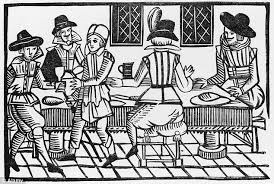 They focussed on brewing and baking as it is claimed that during the Tudor period the average hard working farmer would consume a two pound loaf of bread and eight pints of weak ale per day. As the programme tries to re-create what it was like to be a farmer in the Tudor period the presenters had to understand how to bake the bread and brew the ale in an accurate Tudor way. It was interesting to note that the malting and brewing techniques are loosely based on what we do today with some peculiar variations which were likely to be down to a lack of scientific knowledge. The question is could this be replicated at home allowing us to produce an authentic home brewed beer Tudor style. In terms of malting, the process that they employed looked similar to a traditional floor malting process, however, because of the editing of the programme the detailed information on how it was done was not shown. But, it looked like the process they employed was to take the barley and spread it on to a stone floor where it was sprinkled with water. Once the water was sprinkled onto the grain bed the grain started to germinate. Once germination was underway the presenters piled the chitting barley into a heap to allow the heat from germination to build up and therefore accelerate the malting process. Once heaped up the grain was left for an unspecified period before being transferred to a brick built oven where the burning coals had been removed. The argument was that the residual heat in the kiln was sufficient to dry the malt. 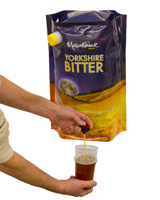 This would certainly start to dry the malt off, but it is likely that the moisture content of the malt would still be quite high and the resulting malt would probably have a slightly smoky taste to it. It is also difficult to say just how well modified the malt would be so how good it is to brew with is a moot point. Once the malt had been produced it was milled and mixed with cold water to produce what looked like a rather thin mash. This weak mash was transferred to sit over a fire where it was bought to the boil before being covered and allowed to simmer for 30 minutes. I would suggest that this process, unless the malt is extremely well modified, would give rise to relatively weak wort. I am drawn to this conclusion because the malt enzymes, if any survived from the kilning process, would only have a short period of time available to convert the starch to sugars before being inactivated by the heat from the fire. Once the mash had been simmered for 30 minutes it was removed from the fire and flavourings such as elderflowers and honey were added. 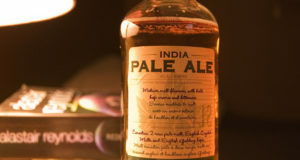 Remember this is the time before hops were widely used in Britain so flavour in beer was derived from other ingredients. Certainly the honey would have contributed flavour and some fermentable sugars which would have helped to kick start fermentation. Once the flavourings had been added the mash was allowed to settle and the clear liquid was ladled into another container through a cloth to filter out any residual spent grains. This was what they described as the strong beer and the Tudor’s would have added more water to the mashed grains, re-mashing them to achieve a second, much weaker wort. I would assume that there would be some cooling of the wort before the yeast was pitched into the vessel for fermentation. 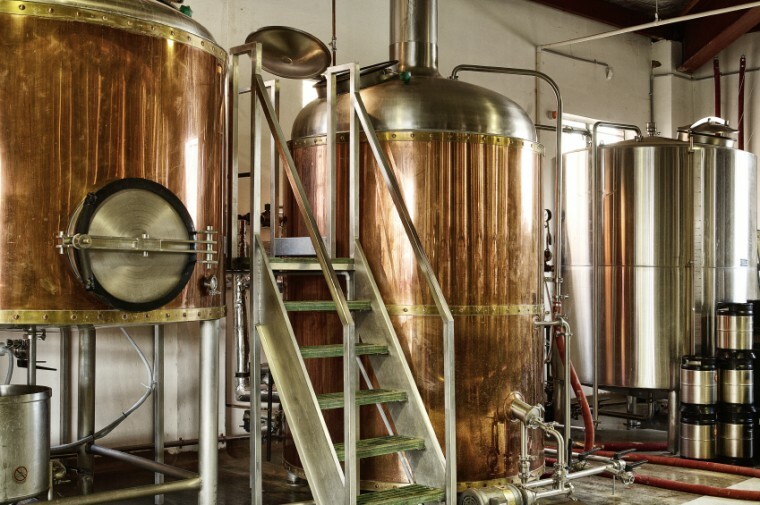 The yeast itself was taken from the froth created in the previous brew; in essence they were performing a rudimentary top cropping of the yeast for pitching into their next brew. The initial yeast would have been collected by leaving a mash outside to collect wild yeast from the atmosphere. How they knew when it was ready was probably very much up to the skill and experience of the brewer. 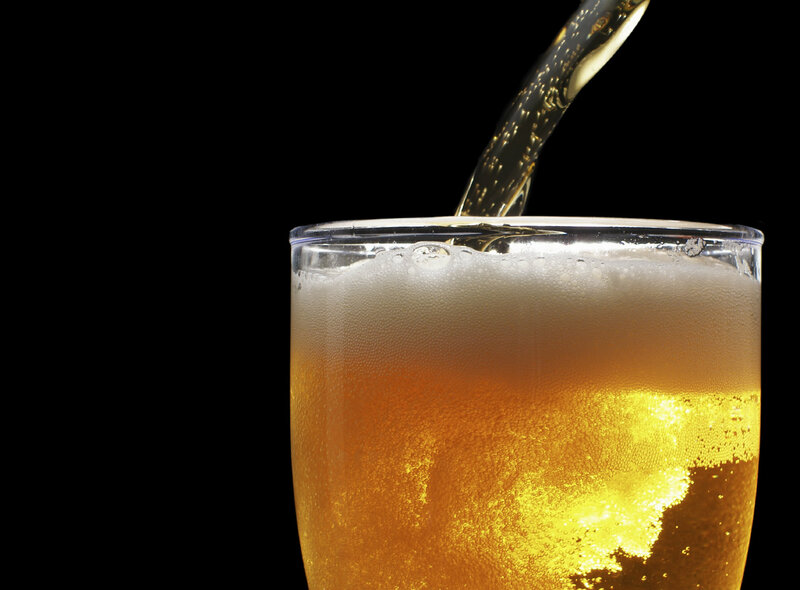 The resultant beer looked to be quite cloudy and did not have much colour. Sadly the presenters of the programme did not discuss the drinking quality of the ale but I would expect it to be relatively weak and rather sour due to the fermentation with wild yeasts. All told the process, as demonstrated on the Tudor Monastery Farm, looked fairly simple and I think it would be easy to replicate at home. So I guess my home brew project for the Christmas vacation is to make some home brewed beer Tudor style.